Frequent followers of the Fossil Rim Wildlife Center Facebook page will note that shares from the Conservation Centers for Species Survival (C2S2) page appear frequently, but do they know what C2S2 is really about? In 2005, five of the world’s top endangered species breeding and management centers – Fossil Rim, San Diego Zoo Global, Smithsonian Conservation Biology Institute (SCBI), The Wilds and White Oak Conservation – came together to form C2S2, a consortium dedicated to developing novel and data-driven programs to sustain populations of species considered endangered. Every spring, addax calves abound at Fossil Rim Wildlife Center. 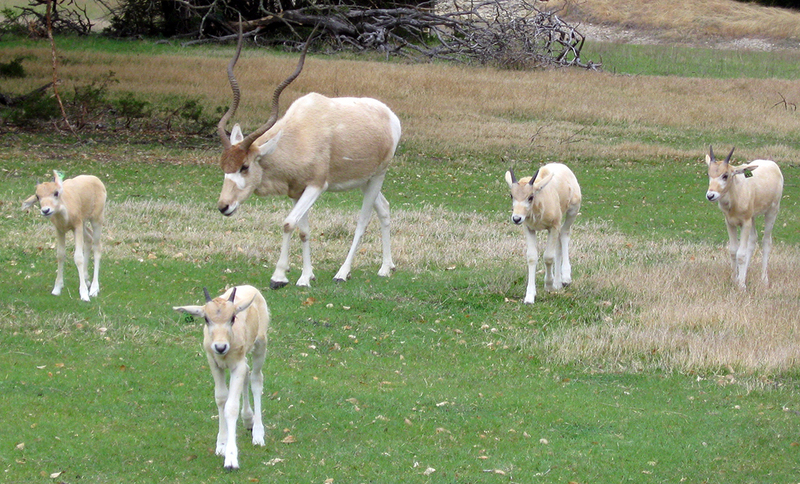 Addax are critically endangered and one of the Source Population Alliance (SPA) target species. SPA was created by Conservation Centers for Species Survival (C2S2). “C2S2 members are leaders in conservation breeding, reintroduction and research of endangered species,” said Katy Palfrey, C2S2 executive director. “Over its first decade, C2S2 was based out of the Smithsonian and the centers worked together to develop innovative models for saving species from extinction through collaboration and research. In decade two, Palfrey is driven to see the organization tackle ever-growing challenges. These conservation centers are also paving the way for zoos to take on an increased role in conservation. A huge part of the role zoos can play is shifting focus toward regional wildlife. 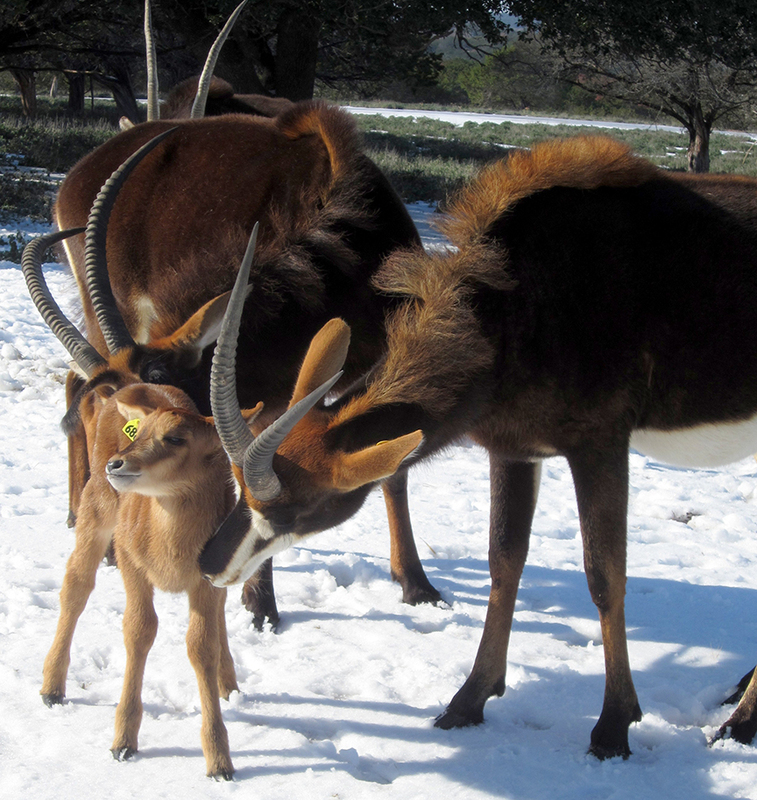 Fossil Rim actively breeds sable antelope, an SPA target species. If zoos are going to make this fundamental change, Palfrey believes facilities like Fossil Rim set a great example. 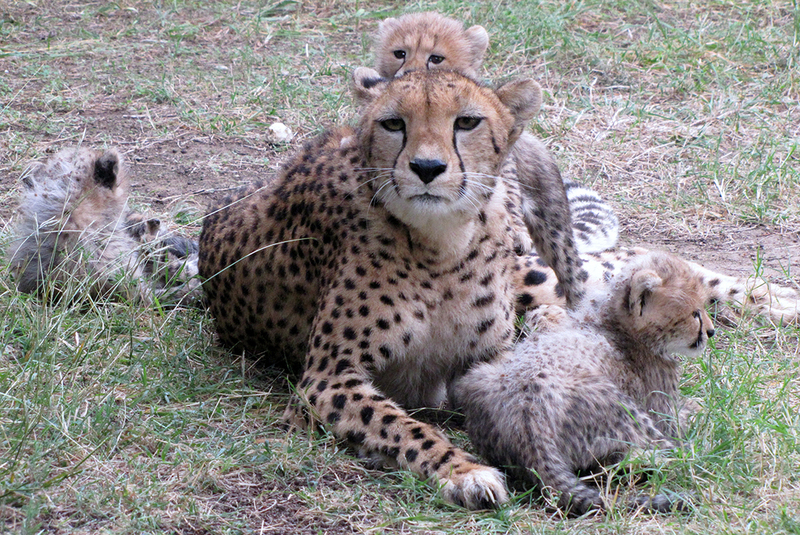 Fossil Rim is one of the top breeding centers for cheetahs in the U.S. This is the target species among carnivores for C2S2. 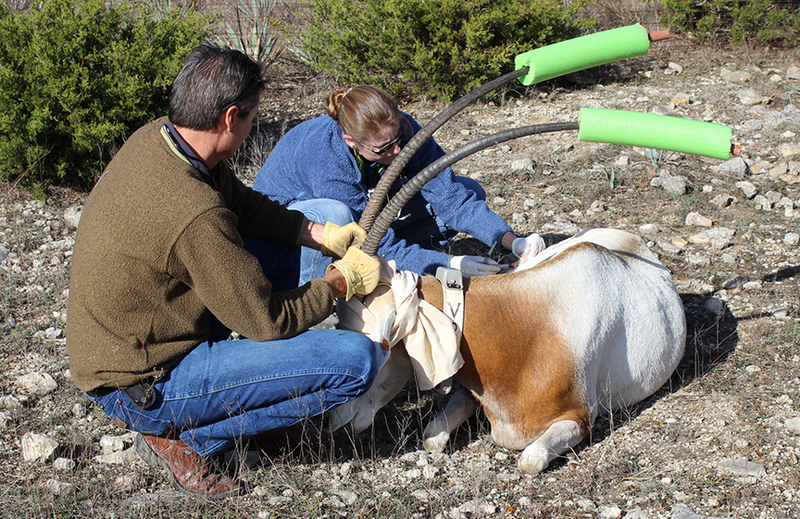 Since the relocation to Fossil Rim, C2S2 has added new full members – Austin Savanna and the Center for the Conservation of Tropical Ungulates (CCTU). 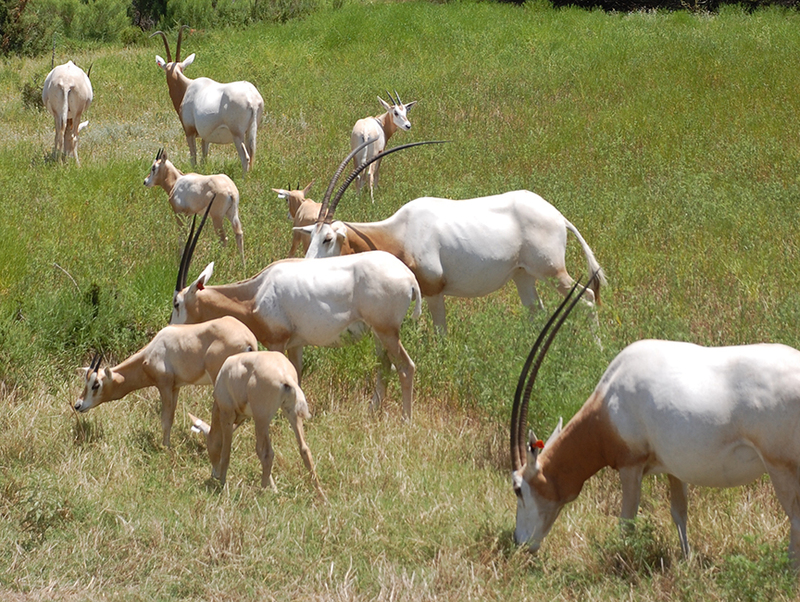 Fossil Rim is very active in scimitar-horned oryx conservation efforts, including an active breeding program. This species is also part of SPA. C2S2 focuses its conservation efforts on species that can benefit most from its space, expertise and extensive partnerships to enable populations to be managed and optimized on a significant scale. Current target species include ungulates (addax, addra gazelle, Nubian ibex, sable antelope, scimitar-horned oryx, Tadjik markhor), carnivores (cheetah) and birds (Attwater’s prairie chicken, loggerhead shrike, wattled crane, whooping crane). With its ungulate target species in mind, C2S2 created the Source Population Alliance (SPA). It is a group of private landowners, conservation centers and zoos who dedicate their unique resources to creating sustainable populations of wildlife that serve as dependable reservoirs for the conservation and use of animals here and in their native lands. Palfrey has been very pleased with the supportive atmosphere at Fossil Rim ever since C2S2 set up shop at the 1,800-acre wildlife center in Glen Rose, Texas. Both she and Cynthia Bennett, program manager, have offices at Fossil Rim, while Kristen Culp, program coordinator, actually works for both C2S2 and Fossil Rim. Dr. Pat Condy, Fossil Rim executive director, approved the request by the C2S2 board of directors to provide office space for C2S2 employees. 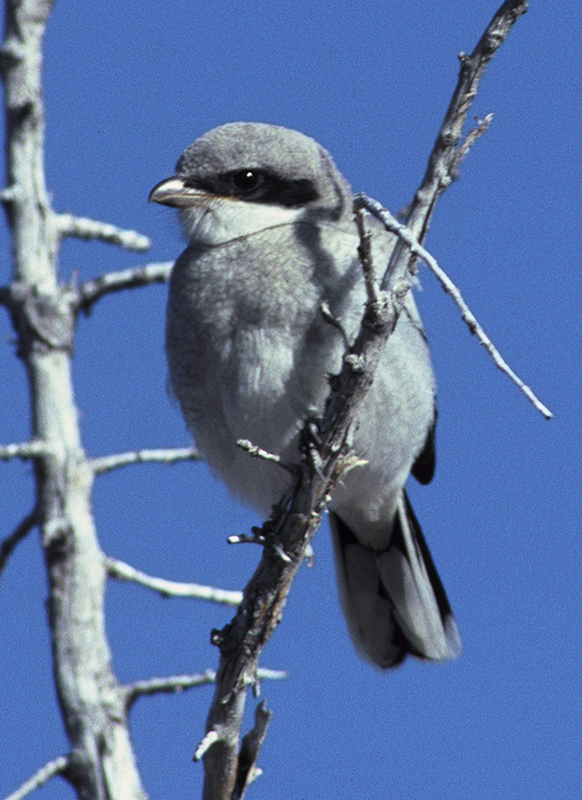 The loggerhead shrike is a North American passerine songbird that is experiencing steep declines. This bird can be found near Fossil Rim and is a species the wildlife center and C2S2 are expanding their conservation efforts for. 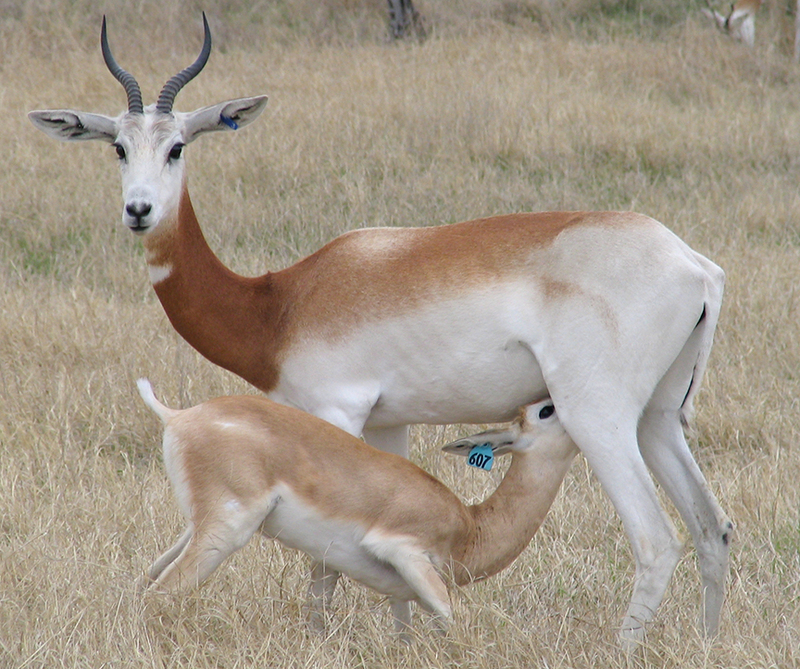 Fossil Rim actively breeds addra gazelle, a critically endangered species that is also an SPA target species. Quick to say C2S2 would not have the same capabilities without Fossil Rim’s contributions, Palfrey hopes to make the association as reciprocal as possible. “We’re launching an economics study of the efficiencies of herd production, particularly scimitar-horned oryx, which should tell us what is working and, in turn, benefit Fossil Rim,” she said. “Fossil Rim has brought a lot of new partners to the table for C2S2, and hopefully the reverse is true as well. Fossil Rim has provided us very valuable linkages to private Texas landowners. “We have started a registry for SPA animals, so going forward Fossil Rim and other member institutions will be able to search for animals that would be a good genetic match for their herds. Fossil Rim has been a very prominent contributor in the field of genomics, which is helping us build our database. 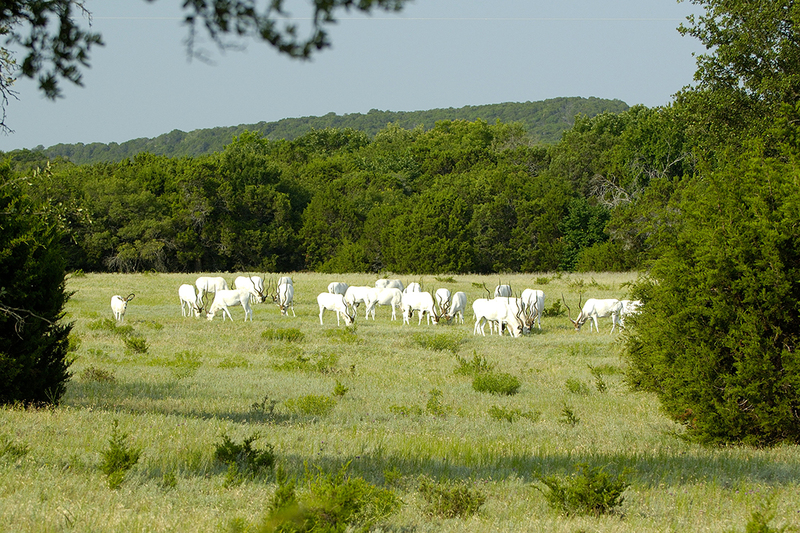 Fossil Rim’s 1,800 acres include large pastures that allow plenty of space for natural herd sizes and successful breeding programs for the conservation center. In 2005, it was one of five endangered species breeding and management centers to join forces and form C2S2. As she contemplates the big picture for the future of world animal conservation, Palfrey can just look out her office window for inspiration.